With the sudden resignation of, now former Councillor, Brent Fleeton there is a vacancy on council (North Ward) which needs to be filled. You should consider it. The negative is that you will only continue former Councillor Brent Fleeton’s term (13 months) instead of being elected for a four year term which is normally the case. If council had a choice, I’d say they’d prefer to leave the seat vacant till the ordinary elections next October 2019 instead of filling it so as to save the $35,000 – $70,000 estimated cost of the extraordinary election. However the Local Government Act (s4.16 (4)) states that any resignation must be filled by an election if the resignation occurs before the third Saturday in January of an election year. A previous blog post talks about what is involved by being a Councillor so I won’t repeat anything here. Whilst the short term is a negative, it can also be a positive and allow someone to build a profile and serve their community before the ordinary elections next October. I know that two former Councillors are seriously considering running again in the extraordinary election so there will likely be competition, however both lost to new candidates at the last election so the challenge of winning isn’t insurmountable. Far from it in fact. 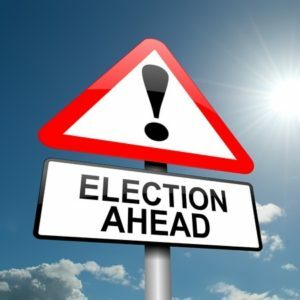 The extraordinary election date is 14 September 2018. Nominations open on 1 August and close on 8 August. To nominate you simply use the WAEC online nomination builder.